MOSCOW: After unequivocal and unflinching support from its ally China in the face of scathing criticism from the Donald Trump administration, Pakistan also received backing from Russia which lambasted the new US strategy in Afghanistan as a ‘futile course’. 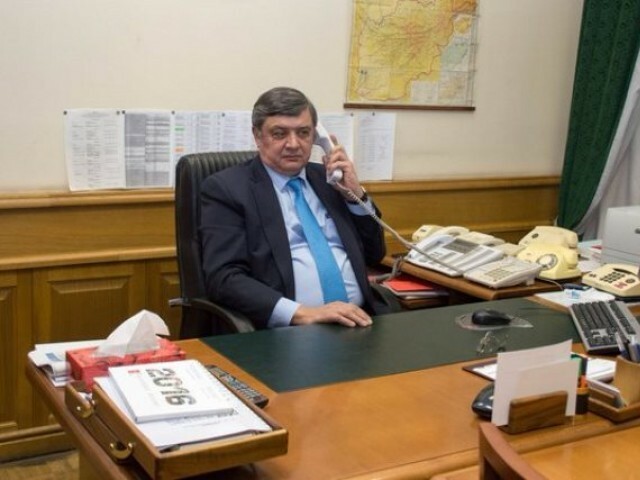 Russian presidential envoy to Afghanistan Zamir Kabulov insisted that Islamabad is “a key regional player to negotiate with”. “Putting pressure [on Pakistan] may seriously destabilise the region-wide security situation and result in negative consequences for Afghanistan,” Kabulov told Russia’s Afghanistan Daily on Tuesday. Kabulov statement came after President Trump this week heaped criticism on Pakistan for what he called harbouring the terrorists the Americans were fighting in Afghanistan. In Moscow, Foreign Minister Sergei Lavrov on Thursday called the new US strategy for Afghanistan regrettable, saying the blueprint unveiled by Trump was a ‘futile course’. Speaking at a press conference on Thursday, Lavrov said Russia has expressed “regret that the main focus of the new [Afghanistan] strategy announced by Washington is regulation by methods of force”. “We are certain this is a futile course,” he said, furthermore rejecting suggestions that Moscow was behind arming the Taliban. In his Afghan strategy, Trump announced 4,000 new troops for deployment to Afghanistan, backtracking from his earlier promise to end America’s longest war, though other specifics of the plan remain unclear. Secretary of State Rex Tillerson suggested on Tuesday that Moscow is arming the Taliban. “To the extent Russia is supplying arms to the Taliban, that is a violation, obviously, of international norms,” he said. “It’s not the first time we are accused of supporting and even arming the Taliban,” Lavrov said. “Not one fact has been presented” to support this. The spokesperson for Russia’s foreign ministry Maria Zakharova reiterated the same in a press briefing. The American policy “focuses on the search for a military solution to the Afghan issue, particularly through increasing the number of foreign troops,” said Zakharova, according to Russia’s official TASS news agency. Earlier this year, a similar allegation was made by NATO commander Curtis Scaparrotti, who said Moscow is assisting and possibly supplying the Taliban and its influence is growing in Afghanistan. Lavrov said Moscow only contacts the Taliban for two things: ensuring safety of Russian citizens in Afghanistan and pushing the Taliban to hold talks with the Afghan government. The resurgent Taliban is an officially banned organisation recognised as a terrorist group in Russia but some Russian officials have said Moscow is exchanging information with the group when it comes to fighting Islamic State militants.